Simone Weil (1909-1943) was a French Marxist Jewish intellectual, mystic and political activist, who graduated at the top of her class at the Sorbonne and devoting her life to helping the oppressed. She was a professed atheist until she had a profound experience of Christ that led her on a spiritual journey. She attended Mass everyday but refused to join the Church because she did not want to be part of any ideology or any exclusivity. You could select any substitute for Christ, Buddha, Krishna, the Dalai Lama and the message would be the same. Her statement is similar to the phrase: If you meet the Buddha on the road, kill him. The message means to always chose truth over your idea of Christ, God, life, the spiritual journey or any other formulated concept because once you think you know what its about, you’re in trouble. 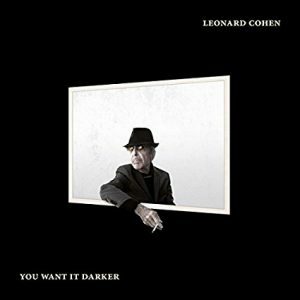 Leonard Cohen in his recent and final album, You Want it Darker, makes a similar point in his song, Steer Your Way. Of creation and the fall. . .
And the wisdom of the way. . . If everyone would seriously take this advice of choosing truth over belief, I doubt we would have a divided country or ideological wars throughout the world. I believe this is impossible but we could practice this ourselves. To be open to truth, to have a beginners mind as the Zen tradition tells, to not be so sure that we have the corner on what life is about, to be ready to learn more and to change our viewpoint if evidence tells us otherwise. 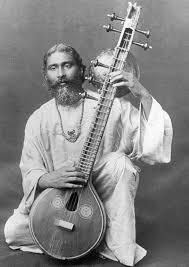 The mystic sees from every point of view and that is why the mystic is harmonious with all. A person comes to a mystic and says: I cannot believe in a personal God, it means nothing to me. Then the mystic answers: You are quite right. Another one says: The only way of making God intelligible is in the form of a human. The mystic says: You are right. And another one says: How foolish of these people to make of this man a God: God is above comprehension. And the mystic says: You are right. For a mystic understands the reason behind all the opposing arguments. We at Light on the Hill wish you a beginners mind and a harmonious life as you begin the new year.